Claybrook Farms - Ambassador CBF "Aaron"
2005 gelding, 15.3 hands by Contango out of Nolinde by Coriander. He has three beautiful, big gaits. He will make a strong dressage prospect, particularly for the more petite or younger rider. He is training at First and Second Level. Aaron is started over fences and is schooling 2nd Level dressage movements. 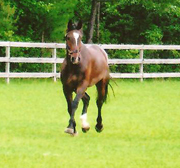 This horse’s joyful disposition is contagious. 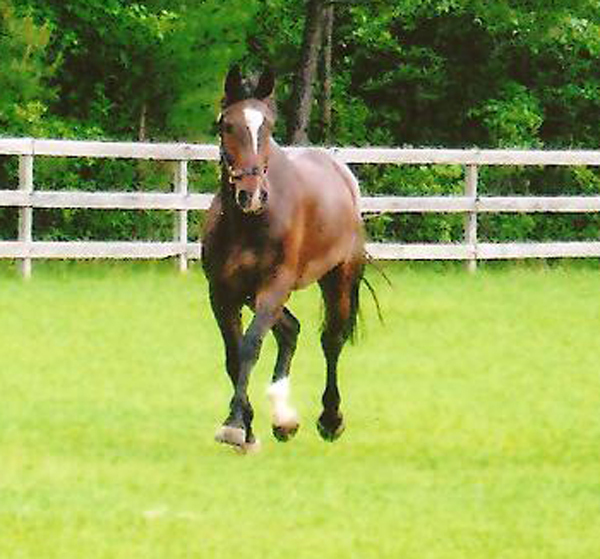 He is always exuberant and happy but at the same time obedient, polite, and studious under saddle. His expressive gaits mirror his personality. He is extremely talented and seems to love to be ridden and to work. Although he is only 15.3, he is built so solid, anyone would look suited to him. If someone was looking for an affectionate horse they could love and at the same time take to a show and win...this is the horse for you! He has no vices, hacks out, type of horse you can pull out of the trailer, hop right on and go win your class. 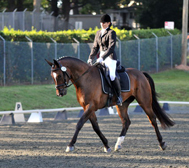 In 2009, he competed in his first dressage show and performed extremely well. At University of Findlay’s 2010 Spring Open Dressage Show, Aron competed in Training Level Test 3 and First Level Test 1. He received a 70.4 and 73. The judge rated his gaits 9, and 6 & 7’s on impulsion and submission. We were extremely pleased with his first outing. 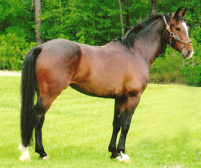 Aaron’s sire, Contango, is a KWPN dressage stallion. Contango launched his outstanding career by being named Champion of his Oldenburg stallion test. 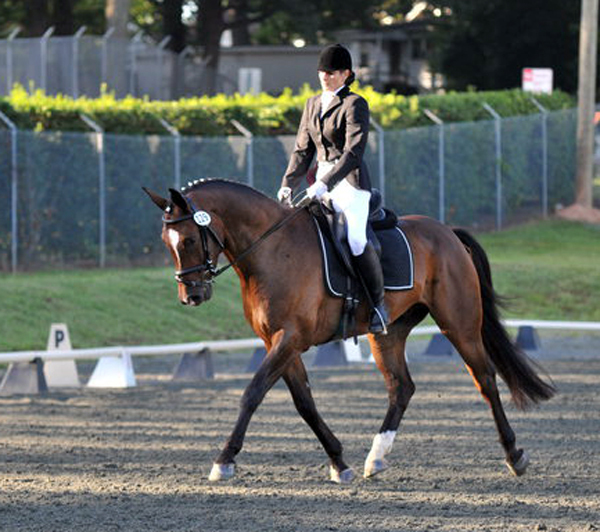 During his years in competition, Contango earned 33 first place wins at Grand Prix. 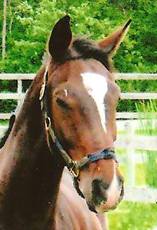 Aaron’s dam sire, Coriander, was the leading sire of sporthorses in Germany three years in a row. He produces elastic movers with effective shoulders and quiet minds. Coriander was know for being able to perform a Gran Prix dressage test and compete at the Gran Prix in showjumping.